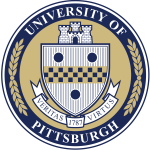 The Center for Mindfulness and Consciousness Studies is housed within the University of Pittsburgh’s Graduate School of Public Health. Additional sponsorship is provided by the School of Medicine (Center for Integrative Medicine), the School of Health and Rehabilitation Science, the School of Education, the Falk School, and the Dietrich School of Arts and Sciences (Department of Religious Studies, the Writing Program within the Department of English and Department of Psychology). The Center is also a member of the Mindfulness In Education Network. The goals of the Mindfulness Center are synergistic with the University’s mission of promoting research, education, and service/clinical practice.